53000 Meals – Global Mobility Solutions (GMS) just wrapped up its annual Relocation Forum and with its partners was able to donate 53000 meals to charity. At the event, GMS not only recognizes and awards the providers in its Premier Alliance Network, but holds panel discussions with current GMS clients, reports on GMS accomplishments and plans, and holds workshops so that the attendees can increase their own business and better serve their customers. 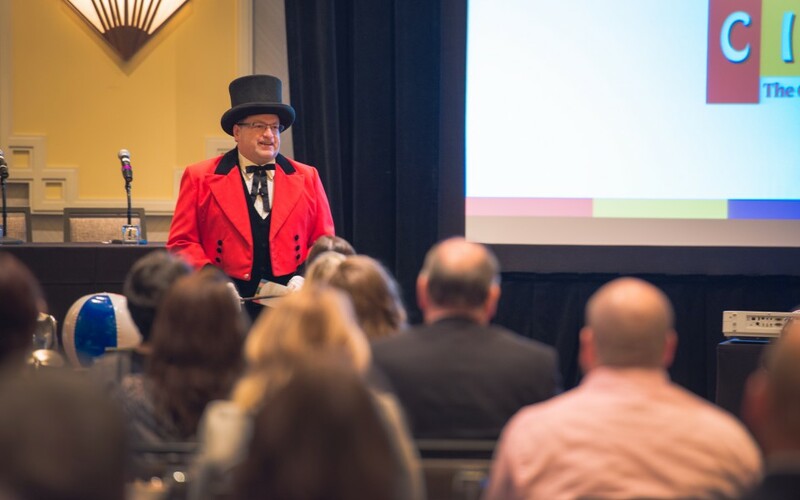 The theme of this year’s forum was “Circus: The Greatest Show in Relo.” Comparisons were made between the tremendous amount of planning, detailed preparation, and skillful execution necessary to put on a single circus act and the flawless relocation of an employee. GMS president Steven Wester even dressed as a ringmaster for the entire event. The official charity of Global Mobility Solutions is Move for Hunger. This non-profit organization works with van line companies across North America to collect unwanted, unopened food from people who are relocating and do not want to pay to have the nonperishable food moved with them. GMS donates to Move for Hunger every year because it is committed, not only to moving people around the world, but to helping make it a better place.